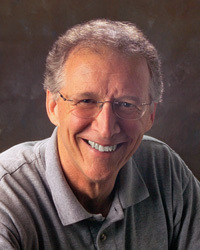 A few weeks ago I had the opportunity to interview John Piper. I promptly solicited questions from you, the readers of this site, and Pastor John was kind enough to answer them. Because the focus of this year’s Desiring God National Conference is sanctification, I asked him questions related to that subject. In this interview he discusses why sanctification is not an instantaneous act, how we can emphasize personal toil in holiness without diminishing the goodness and sovereignty of God, why we need to continue to confess our sins to God, and how we can know if we are growing in sanctification. If you read only one of the answers, be sure it is the final one! What is God’s purpose in making sanctification a lifelong pursuit rather than an instantaneous act at the moment of conversion? First, I agree with the assumption that this is true. God does do this. That is, he intentionally does not conquer all our sins in an instant, though he could. He could perfect us now. We know this because he is going to do it when we die. We will not sin in heaven. We will be among “the spirits of the righteous made perfect” (Heb. 12:23). And we know that God will finally throw Satan into the lake of fire (Rev. 20:10) and take away his influence in the new world entirely. If he will do it then, he could do it now. But he doesn’t. He gives Satan leash. So why is Satan allowed to rage, and why does God let us go on stumbling toward holiness? I am not aware of any text in the Bible that answers this question explicitly. So we answer with inferences from God’s broader statements of purpose. The largest answer is that God does all things for the greater display of his glory, and so this too must be for his glory. Could God’s purpose in “enduring vessels of wrath” be a pointer to his enduring the sins of his people and the raging of his arch-enemy? In the case of those who will never repent, God’s patience intensifies the display of his power and wrath. And when God forgives his people 70 times 7 times 7 times 7, does he not intensify the display of his mercy? And does he not provide the most intense experiences of our own humbling and remorse as we see what becomes of us when we fail to trust God’s grace and power? And so God displays both our inadequacy and his all-merciful sufficiency in allowing us to go on stumbling toward holiness. How do you emphasize personal toil and effort in sanctification without diminishing sanctification as an act of trust in God? First by seeking to maintain the biblical proportions. The barometer of our balance is the Bible, not the sentiments of our audience. Over the long haul are we speaking in biblical proportions? This requires not just adding up the effort-passages and the rest-passages, but also being so immersed in the spirit of the Bible that we discern the spiritual tone of how to speak of both. Or the words of Peter, “Be all the more diligent to confirm your calling and election” (2 Peter 1:10). But we bring these commands under the blood-bought promise of God’s commitment to complete the work he has begun (Phil. 1:6) and work in us what pleases him (Heb. 13:20–21) and sanctify us wholly (1 Thess. 5:23–24), and “fulfill every resolve for good and every work of faith by his power” (2 Thess. 1:11). We never forget that there is a “holiness without which no one will see the Lord” (Heb. 12:14). And we never for get that “by a single offering he has perfected for all time those who are being sanctified” (Heb. 10:14). Because he strove with sin and death and Satan, and triumphed, we strive with the assurance we too will prevail. 1. The solution in 1 John comes from noticing what John says in 1:7–8, “If we walk in the light, as he is in the light, we have fellowship with one another, and the blood of Jesus his Son cleanses us from all sin. If we say we have no sin, we deceive ourselves, and the truth is not in us. If we confess . . .” Confessing our sins is the opposite of “saying we have no sin.” If we say that, “the truth is not in us.” That is, we are not Christians. We are not born again. 2. When Jesus teaches us to pray daily, “Forgive us our debts . . .” he is probably pointing us in the same direction as 1 John (and Paul). We need not take him to mean that every sin must be remembered. He knew the psalmists cry, “Declare me innocent from hidden faults” (19:12). We do not know all our sins. We can’t confess them all by name. How can you know if you are making progress in your sanctification and how can you know how much progress you are making? Is sanctification something that can be measured? Paul believed that sanctification has degrees. You can grow. He prays that “your love may abound more and more” (Phil. 1:9). He says the Thessalonians are pleasing God and tells them to “do so more and more” (1 Thess. 4:1). He tells the Corinthians that God will “increase the harvest of your righteousness” (2 Cor. 9:10). And prays, “May the Lord make you increase and abound in love for one another and for all” (1 Thess. 3:12). But the New Testament does not quantify these degrees. “More and more” and “increasing” are discernible but not measurable. That is, while length is quantified in inches and feet. Holiness does not have similar measuring units. So how do you know you are making progress? There is a paradox here. On the one hand, greater holiness is greater victory over sins. But on the other hand, greater holiness is greater sensitivity to and hatred for sin. So it does not follow that becoming more holy will mean becoming more happy with oneself. You may be a better person tomorrow and feel worse about the smaller corruption that remains. But there are ways to discern growth. One is that those around you will see it and confirm it. Another is that you will see some of it. You will feel the weakening of some temptations as love for Christ pushes the desirability of sin far away. You will feel drawn to holy acts that once were burdens. And you will have holy sorrow when you omit them, not just guilt over a duty neglected. You will see the preferences in your life change. What was once supremely desirable is trumped by a superior desire for Christ and his word and his way. And you will confirm your heart change in action. Action that becomes less burdensome as love grows. “This is the love of God, that we keep his commandments. And his commandments are not burdensome” (1 John 5:3). We can and should make progress in sanctification. And we can and should be aware that it is happening. This will encourage us that God is at work in our lives. And it will humble us because progress will mean we can see more clearly how far we have to go and how small are our advances. And how much we will always need a great Savior. 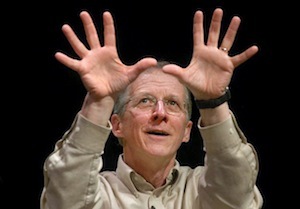 If you have more questions on this topic, consider registering for this year’s National Conference, “Act the Miracle: God’s Work and Ours in the Mystery of Sanctification.” Piper will be joined by R.W. Glenn, Kevin DeYoung, Russell Moore, Ed Welch and others. You’ve got a few more days to take advantage of an early registration discount. You may also be interested in his new, free ebook titled Sanctification in the Everyday. Also, be sure to visit next Monday and Tuesday when I will be sharing a long and interesting interview I did with Dr. R.C. Sproul.